Marcio is an accredited Chue style Feng Shui consultant who has worked in the field for over 20 years. Previously accredited with the School of Feng shui New York under Roger Green (specific training including both hemispheres), and the second accreditation under the CHUE Style Feng Shui in 2005 under the teachings of Great Gran Master Chan Kwan Wah. Still keeping up to date with all the formulas of the new 9TH fate and the many trainings that involves since 2005. 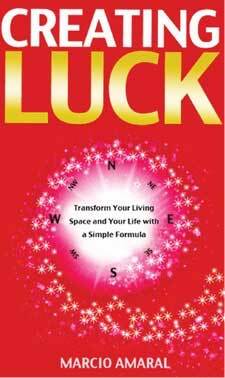 His book Creating Luck introduce Feng Shui concepts in an accessible manner, looking at each area of a person’s living space and what it represents, and detailing how to heal problem areas and let go of stress and aim on achieving love, success and joy. Our environments many times are the cause of issues that we have on the path of our karmic life and our sub-conscious tend to read the messages spread around our environments. Feng Shui is a combination of many things such as your date of birth, environment and timing. The consultation process is simple, we design your horoscope and then we visit the property, some immediate changes may take place and others on due course. Marcio’s many projects including consulting property development companies, shopping malls, hotels, charities and private residences in numbers and countries as USA, Brazil, Mexico and the UK.